It is slim pickins' when you get to album titles that start with "X". So I thought, well, why the hell not? Sure most people who come to this blog (which is what, 4 people?) have this album or heard it sometime when it was released and disregard it, maybe they love it. Who knows. It is sort of a staple of indie fans in the 90s and early 00's and a definite introduction to everyone who watched the Royal Tenenbaums as a teenager and loved the music. 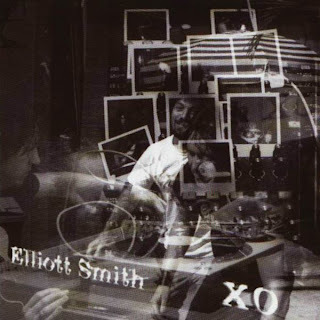 It's probably my favorite Elliott Smith album and though it is sort of cool to hate on his music now, I won't. He was a great songwriter and I still love most of his songs, even if I don't listen to him nearly as much as 6 or so years ago. So, download it if you have somehow not heard it before or maybe go back through your cds or itunes and relisten to it if it has been awhile. It's a pop record that holds up.